Our mint plant is going crazy and we have more mint that we know what to do with. We have been freezing mint to use throughout the year. 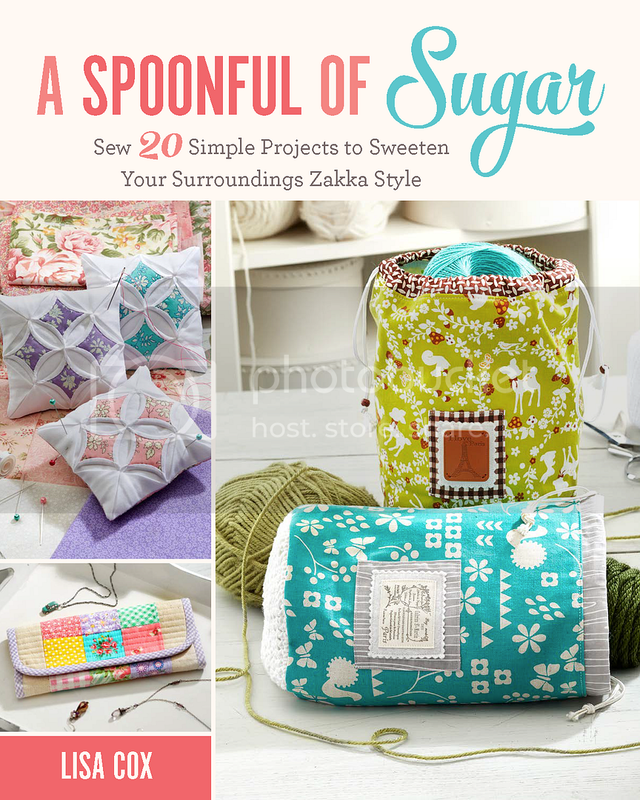 (Check out our How to Freeze Mint post for all the details). 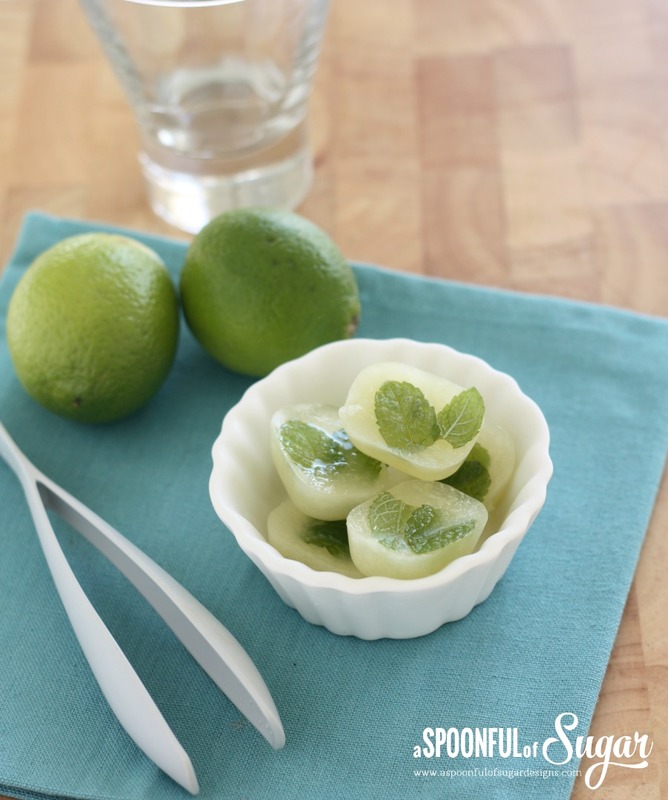 When a friend recently gave us a pile of limes, we made some lime and mint ice cubes so we could preserve the two together. 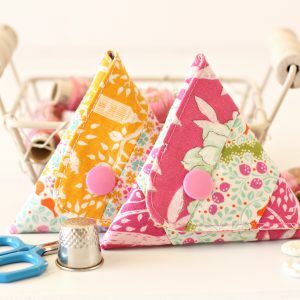 Lime and mint are such a great combination. They are perfect to pop into a glass or jug of chilled water for a refreshing flavour boost. 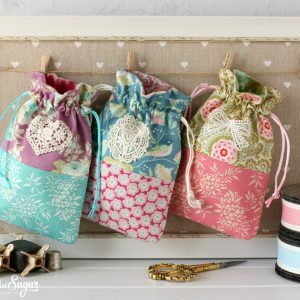 They are great to have on hand for Thai salad dressing or other recipes that calls for lime juice. 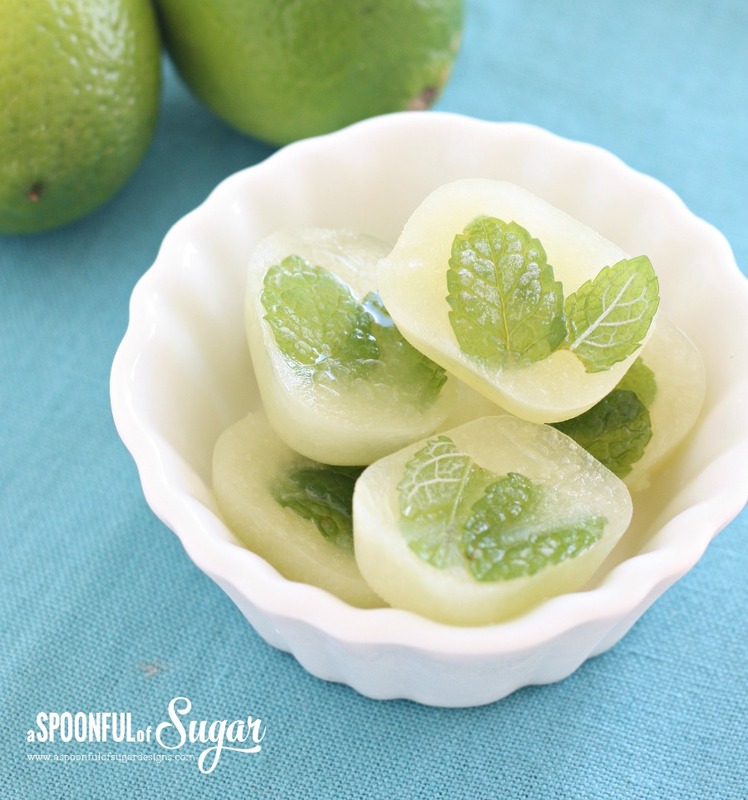 Lime and Mint Ice Cubes are so simple to make. 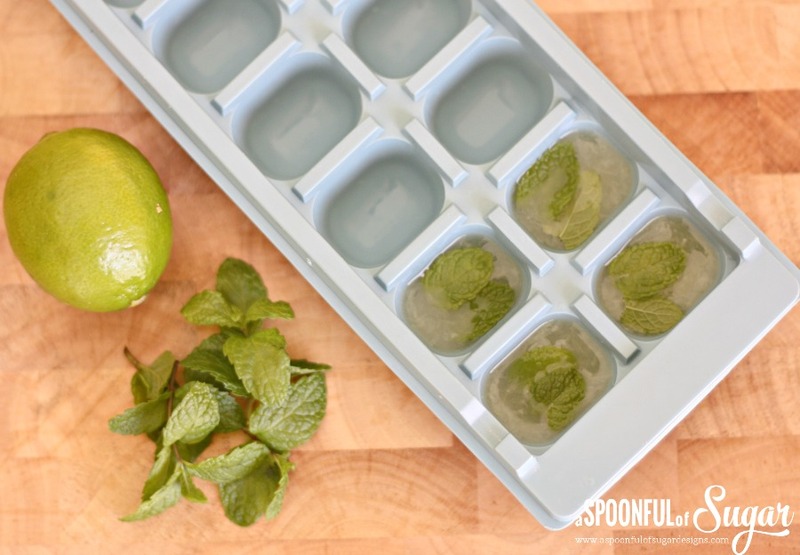 Simply fill an ice cube tray with freshly squeezed lime juice and top with a couple of washed mint leaves. 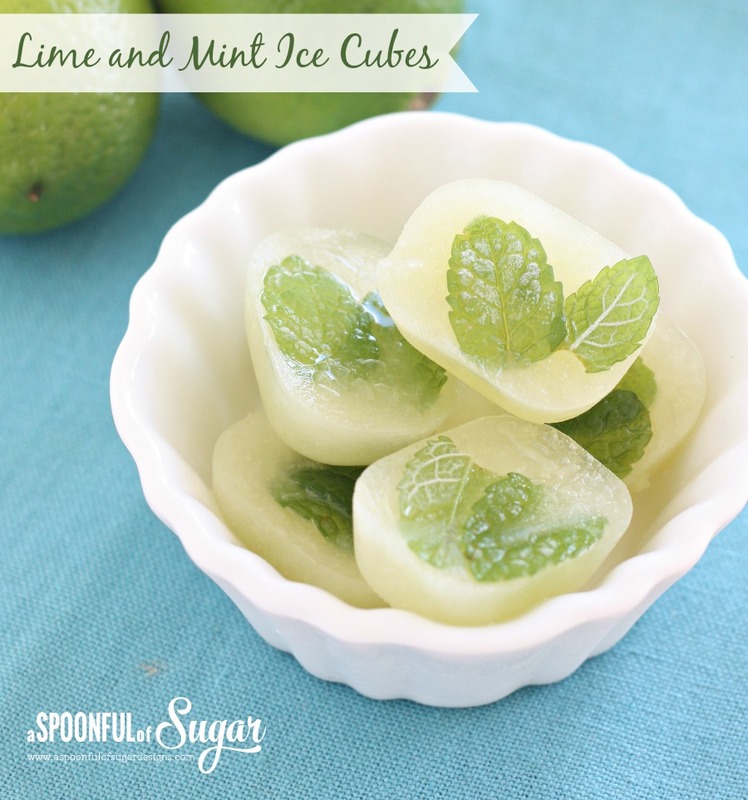 Pop them in the freezer and you will have lime and mint ice cubes in a couple of hours. Store the frozen cubes in a a ziploc bag so they stay fresh in your freezer for longer. 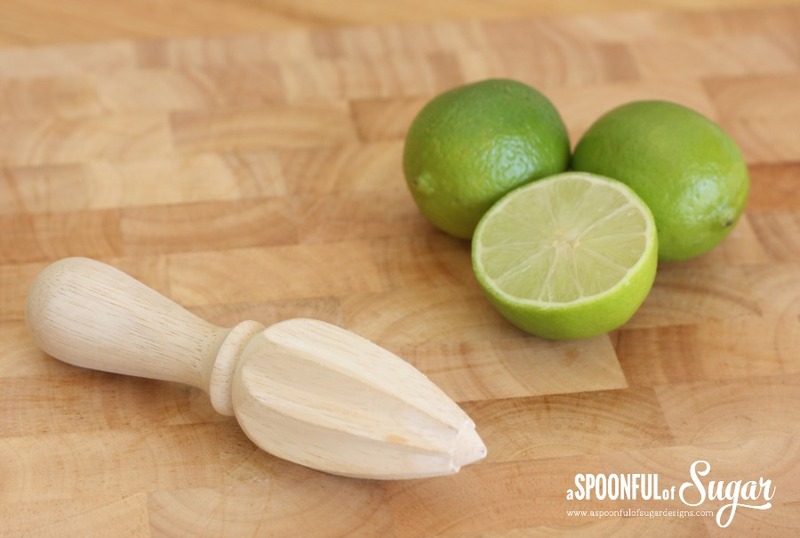 If you would like a more intense lime flavouring, you could add some finely grated lime zest to the juice. We have been adding mint to many of our summer drinks. 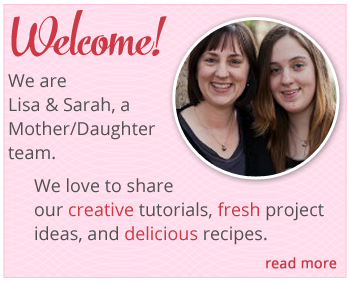 Check out our recipes for Watermelon Coconut Drink, Apricot Bellinis, and Pineapple Coconut Drink. 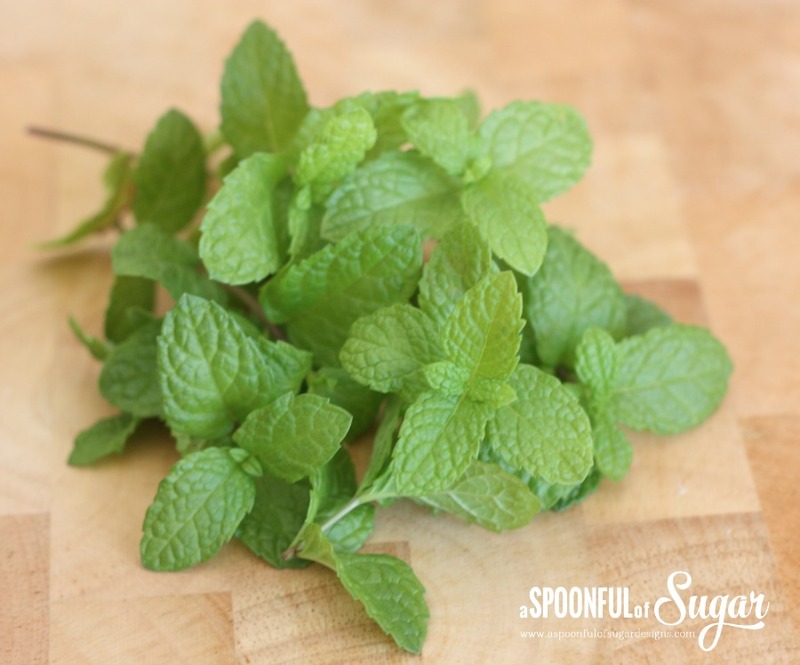 I love peppermint tea – haven’t tried drying my own mint. May need to try that next. This is such a cute idea for ice cubes! Next week, I’m going to be having a little fancy get together with my friends, and I think that it would be so much fun to add a little color and flavor the drinks with your creative ice. Personally, I love the flavor of lime, so I think that I’m going to take your advice about adding some finely grated zest into the mix. With the lemonade I’m going to be serving, I think that it would give the drink a great KICK! It would surprise me if the ice cubes end up being the talk of the party! This is innovative! 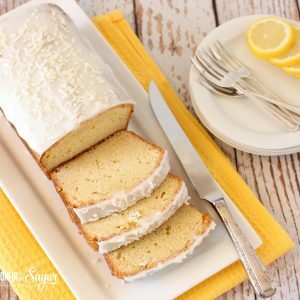 Quick, easy and simply amazing! !